Advances in science and technology have often been driven by the need to solve real-world problems, both social and scientific. From novel machine learning algorithms for recognizing and generating natural speech or accelerating drug discovery, to new devices and cloud services for the digital home and natural user interaction, software is experiencing rapid change—as well as being a key enabler for those advances. The computer science community is at the heart of these exciting trends. Doug Burger discussed how changes in the hardware ecosystem will disrupt computer science. Peter Lee and Jeannette Wing examined how basic research helps everyone. 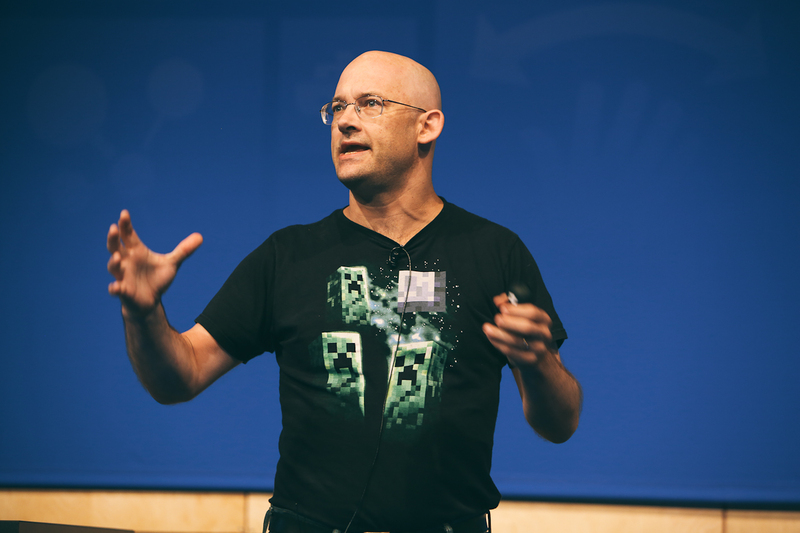 Clay Shirky explored user-centric approaches to data. 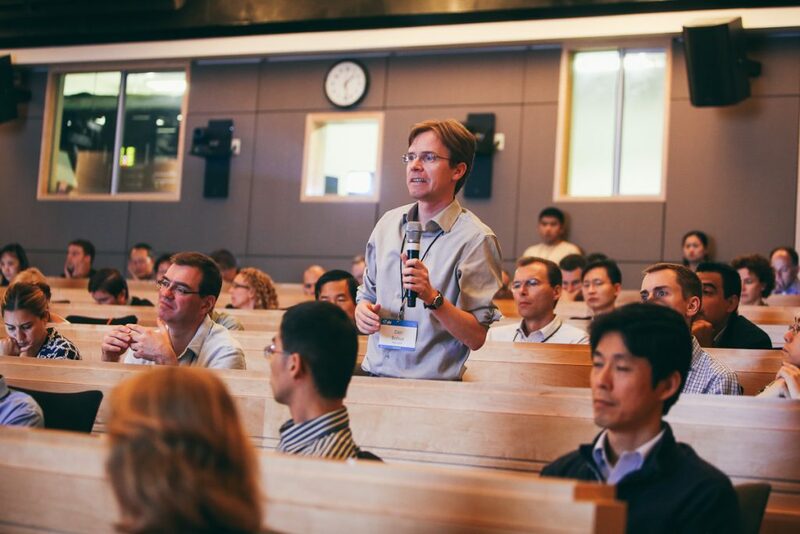 Sessions covering topics ranging from “Prediction Engines” and “Big Data Platforms” to “Deep Machine Learning” and “Quantum Computing” adorned the summit agenda and fostered rich and engaging discussions. 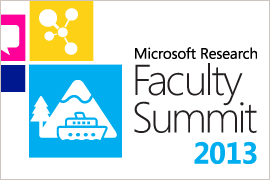 The Microsoft Research Faculty Summit was designed to be a collective experience. For those who were unable to attend in person, we developed a virtual event that brought the conference to their computers. Viewers could participate in the Q&A with Bill Gates, hear interviews with key faculty summit presenters, and listen to keynote speaker Doug Burger present “The Beast from Below: How Changes in the Hardware Ecosystem Will Disrupt Computer Science.” These sessions are now available for on-demand streaming on the “Virtual Faculty Summit” tab. Scott Aaronson is the TIBCO Career Development Associate Professor of Electrical Engineering and Computer Science at Massachusetts Institute of Technology (MIT). His research focuses on the capabilities and limits of quantum computers, and computational complexity theory more generally. Besides his widely read blog, he’s written a popular book (Quantum Computing Since Democritus) and articles about quantum computing for Scientific American and the New York Times. He has received the National Science Foundation’s Alan T. Waterman Award, as well as MIT’s Junior Bose Award for Excellence in Teaching. Eytan Adar is an assistant professor in the School of Information & Computer Science and Engineering at the University of Michigan. He completed his doctoral work in the Computer Science and Engineering Department at the University of Washington. He works in the area of temporal-informatics, studying how large populations interact with each other and with the dynamic web and how those interactions can be enhanced. His interests are in understanding the dynamics of user behavior and data on the web through text and log analysis, visualization, and the creation of new tools. Before graduate school, Adar was a researcher at HP Labs and Xerox PARC for a number of years (spinning out a company called Outride somewhere in there). He received his Master of Engineering and Bachelor of Science degrees from the Massachusetts Institute of Technology. David Andersen is an associate professor in the Computer Science department at Carnegie Mellon University. He received his Ph.D. and M.S. degrees from the Massachusetts Institute of Technology (MIT), and received B.S. degrees in Computer Science and Biology from the University of Utah. Before joining MIT, he was a co-founder and CTO of an Internet service provider in Salt Lake City, Utah. His research interests center on Internet architectures and energy and resource-efficient big data computing. Victor Bahl is a principal researcher and manager of the Mobility and Networking Research Group at Microsoft Research. He believes that he has one of the best jobs in the industry—pursuing untethered research, shepherding brilliant researchers, and helping shape Microsoft’s long-term vision related to networking technologies through research, industry partnerships, and associated policy engagement with governments and research institutions around the world. His personal research spans a variety of topics in mobile computing, wireless systems, cloud services, and datacenter networking and management. Over his career, he has built many seminal and highly-cited systems, published prolifically in top conferences and journals, authored more than 100 patents, presented more than 30 keynotes, won many awards and honors, and engaged in significant professional and company-wide leadership activities. Thomas (Tom) Ball is a principal researcher and research manager at Microsoft Research, Redmond, widely known for his work in program profiling, software model checking, program testing, and empirical software engineering. He holds a B.A. in Computer Science from Cornell University and a M.S. and Ph.D. from the University of Wisconsin-Madison. From 1993 to 1999, he was a member of the technical staff at Bell Laboratories. During that time, he made contributions in program visualization, path profiling, languages for web services, and empirical software engineering. In 1999, Ball moved to Microsoft Research in Redmond where he started the SLAM software model checking project with Sriram Rajamani. This led to the creation of the Static Driver Verifier tool, which helps find defects in device driver code. His work over these two decades led to two PLDI Most Influential Paper Awards in 2007 and 2011 and a CAV award in 2011. 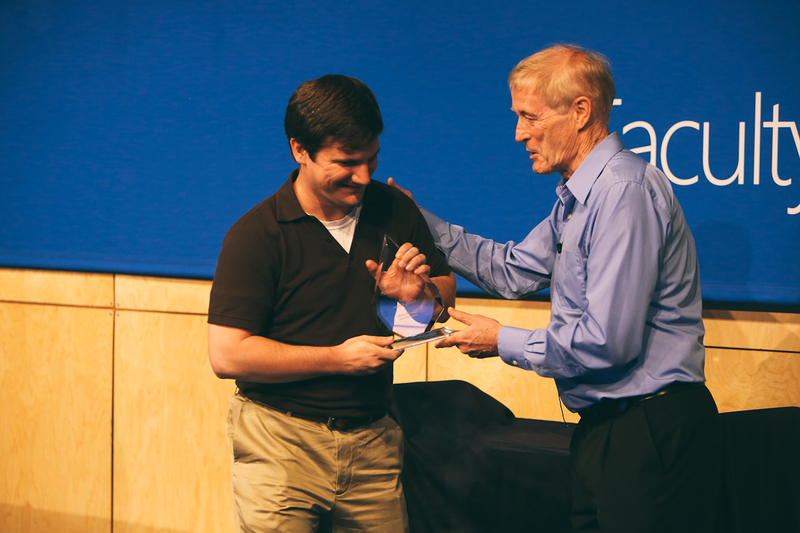 Ball is a 2011 ACM Fellow for “contributions to software analysis and defect detection.” Since becoming a manager at Microsoft, he has nurtured and grown research areas such as automated theorem proving, program testing and verification, and empirical software engineering. Roger Barga is a group manager in the Microsoft SQL group where his team is building an enterprise cloud service for advanced data analytics and machine learning on Windows Azure. Previously, Barga was an architect in the eXtreme Computing Group group of Microsoft Research, where he led a l team that built services for large-scale computing, scientific research, and data analytics on Windows Azure. He also led the Advanced Research Tools and Services team in Microsoft Research, which built services and tools for data intensive research. Barga joined Microsoft in 1997 as a researcher in the Database Group of Microsoft Research, where he participated in both systems research and product development efforts in database, workflow, and stream processing systems. Tiffany Barnes is an associate professor of Computer Science at North Carolina State University (NC State) and received her Ph.D. from NC State in 2003. Her research focuses on serious games and artificial intelligence in education, particularly how to develop games to teach computing and how to use computing to improve learning software. She directs a project to train 100 high school teachers to teach the Beauty and Joy of Computing version of the new AP CS Principles course. 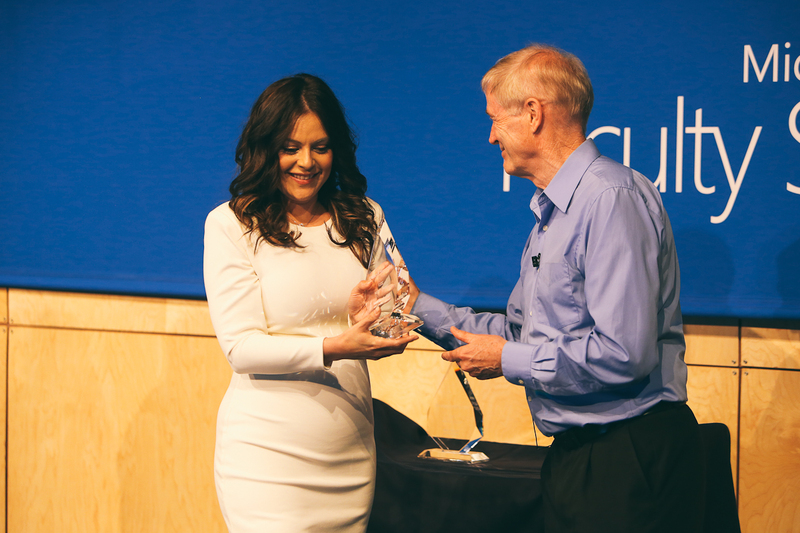 Barnes received a CAREER Award from the National Science Foundation for her novel work in using data to add intelligence to STEM learning environments. She has co-led the NSF-funded STARS Alliance effort to build a community of college faculty and students who perform student-led outreach, research, and service to broaden participation in computing. She serves on the ACM Special Interest Group in CS Education (SIGCSE) Board, and has been on the organizing committees for conferences, including Educational Data Mining and Foundations of Digital Games. She has served as associate editor for the Journal of Educational Data Mining and was a guest editor for IEEE Computer Graphics and Applications. Yoshua Bengio (Computer Science Ph.D., McGill University, 1991) did post-doctoral work with Michael Jordan at the Massachusetts Institute of Technology and worked at AT&T Bell Labs before becoming professor at the University of Montreal. He wrote two books and approximately 200 papers, the most cited of which pertain to deep learning, recurrent neural networks, probabilistic learning, NLP, and manifold learning. Among the most cited Canadian computer scientists, he sat on editorial boards of top machine learning journals and of the NIPS foundation, holds a Canada Research Chair and an NSERC chair, is a Fellow of CIFAR and has been program/general chair for NIPS. He is driven by his quest for artificial intelligence through machine learning, involving fundamental questions on deep learning of representations, the geometry of generalization in high-dimension, manifold learning, biologically inspired learning, and challenging applications of machine learning. At the beginning of 2013, Google Scholar finds more than 12,000 citations to his work, yielding an h-index of 47. Judith received her Ph.D. from the University of Southampton. Before coming to Microsoft, she was a professor at the Universities of Witwatersrand and Pretoria, with visiting positions in the United Kingdom, Germany, Canada, Italy, and the United States. She has been a member of IFIP’s Working Group 2.4 (System Implementation Languages) since 1980 and chaired the group for six years. She was general co-chair of ICSE 2010, PC co-chair of TOOLS 2011, and serves frequently on editorial, program, and award committees. She has written 16 books, which have been translated into six languages, including Russian. Her awards include the IFIP Silver Core and Outstanding Service Award (2006) and the South African Department of Trade and Industry Distinguished Woman of the Year (2005). Andrew Blake is a Microsoft Distinguished Scientist and the laboratory director of Microsoft Research Cambridge, England. He joined Microsoft in 1999 as a senior researcher to found the Computer Vision group. In 2008, he became a deputy managing director at the lab, before assuming his current position in 2010. Prior to joining Microsoft, Blake trained in mathematics and electrical engineering in Cambridge England, and studied for a doctorate in Artificial Intelligence in Edinburgh. He was an academic for 18 years, latterly on the faculty at Oxford University, where he was a pioneer in the development of the theory and algorithms that can make it possible for computers to behave as seeing machines. Dan Bohus is a researcher in the Adaptive Systems and Interaction Group at Microsoft Research. The central question that drives his long-term research agenda is: how can we develop systems that naturally embed spoken language interaction and computation deeply into the flow of everyday tasks, activities, and collaborations? Specifically, in the last few years, Bohus’ work has focused on developing computational models for multiparty engagement, turn taking, interaction planning, and on addressing the challenges in inference and decision-making that such models bring to the fore. Prior to joining Microsoft, he obtained his Ph.D. degree from Carnegie Mellon University, where he investigated problems of dialog management and error handling in speech interfaces. Bill Bolosky is a principal researcher in Microsoft Research’s Distributed Systems group, with interests in storage systems, distributed systems, operating systems, and with a little genomics thrown in for spice. He has worked on a number of projects while at Microsoft, ranging from the Tiger Video Server (in the early ‘90s when that was hard), to the Farsite serverless file system, to the SIS deduplicating file store that shipped in Windows long before deduplicating storage became a hot research topic. When barely out of his teens, he worked on the Mach operating system at Carnegie-Mellon University, and well into his 40s, he decided to try his hand at gene sequencing after hearing a particularly interesting lecture. Léon Bottou received the Diplôme d’Ingénieur de l’École Polytechnique (X84) in 1987, the Magistère de Mathématiques Fondamentales et Appliquées et d’Informatique from École Normale Superieure in 1988, and a Ph.D. in Computer Science from Université de Paris-Sud in 1991. Bottou joined AT&T Bell Laboratories in 1991 and went on to AT&T Labs Research and NEC Labs America. He joined the Science team of Microsoft adCenter in 2010 and Microsoft Research in 2012. Bottou’s primary research interest is machine learning and his secondary research interest is data compression and coding. His best-known contributions are his work on large-scale learning and on the DjVu document compression technology. Brinkman supports the Games for Learning Institute, a consortium of eight universities, 14 principal investigators, and a small army of graduate students exploring what makes games fun, what makes them educational, and how to blend the two. He helped to develop ChronoZoom and is developing Big Time, web services to support tools to visualize massive time scales for the purpose of teaching Big History and enabling massively multidisciplinary research. He is the Microsoft champion for the Just Press Play project, an experiment to transform the undergraduate education of 750 students at the Rochester Institute of Technology into a gameful narrative. Other projects include Project Garibaldi and Game Show NYC. Doug Burger is director of Client and Cloud Applications in Microsoft Research’s Extreme Computing Group. His interdisciplinary group focuses on building prototype systems, currently in the areas of datacenter architecture, silicon acceleration, new user experiences, user privacy, new device designs, and personalized services. Before joining Microsoft in 2008, he was a professor of Computer Science at the University of Texas at Austin. At Texas, he co-led the TRIPS project with Steve Keckler, which produced EDGE architectures, scalable core fusion, and NUCA caches. He is an ACM Fellow, an IEEE Fellow, an ex-athlete, and an avid father. Surajit Chaudhuri is a Distinguished Scientist at Microsoft Research and the managing director of Extreme Computing Group, a Microsoft Research lab that focuses on big-bet projects in data platform and analytics, cloud systems, security and crypto, and hardware-software co-design. He also serves on the senior leadership team of the president of Microsoft’s Server and Tools division. His current areas of interest are enterprise data analytics, self-manageability, and cloud database services. Working with his colleagues in Microsoft Research, he helped incorporate the Index Tuning Wizard (and subsequently Database Engine Tuning Advisor) and data cleaning technology into Microsoft SQL Server. Recently, he started a project on “Bing-Enabled Data Services” with the goal of using Bing’s unique data assets for Microsoft’s enterprise products and services. Chaudhuri is an ACM Fellow and a recipient of the ACM SIGMOD Edgar F. Codd Innovations Award, the ACM SIGMOD Contributions Award, a VLDB 10 year Best Paper Award, and an IEEE Data Engineering Influential Paper Award. Chaudhuri received his Ph.D. from Stanford University in 1992. Lili Cheng is general manager of Microsoft’s Future Social Experiences (FUSE) Labs, which focuses on software and services that center on social connectivity, real-time experiences, and rich media. 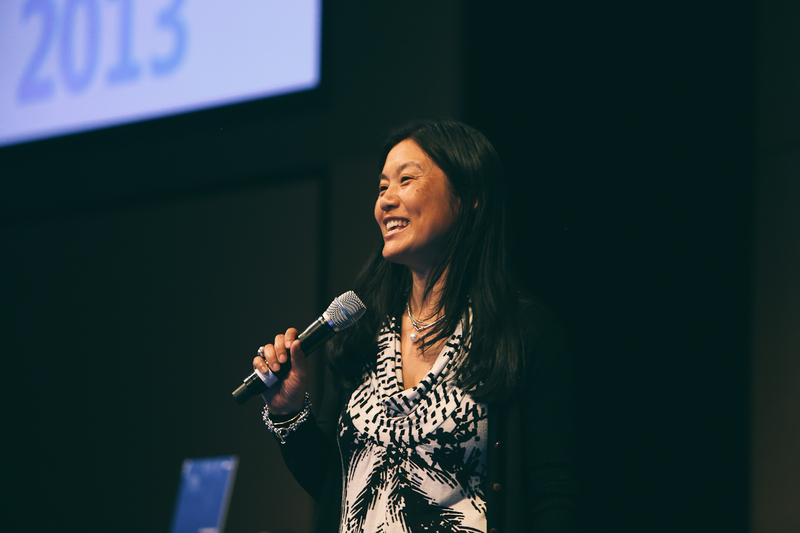 Previously, she was the director of the Creative Systems Group (CSG) within Microsoft Research. CSG developed several projects in the area of social computing and design, including Kodu, an Xbox 360 game to teach kids programming concepts; Salsa, a project that combines email and social networking concepts; and a project that rethinks how we view and share files within the operating system. Cheng’s team also was responsible for Microsoft Research’s Design Expo and Social Computing Symposium. Previously, she was director of user experience for Microsoft Windows, where from 2004 to 2006 she oversaw design, user research, user assistance, and advanced development for Windows Vista. Cheng joined Microsoft in 1995, in the Virtual Worlds research group where she worked on social applications such as V-Chat and Comic Chat. She started the Social Computing Group within Microsoft Research in 2001, where the team built various social networking prototypes including Wallop (which spun out as a separate company in 2004), Photostory (which shipped in Windows), and the Sapphire project, an early vision for redesigning Windows. Prior to Microsoft, Cheng worked in Apple Computer’s Advanced Technology Group, on the User Interface research team, where she focused on Quicktime Conferencing and Quicktime VR. Kate Crawford is a principal researcher at Microsoft Research, a Visiting Professor at the MIT Centre for Civic Media and a Senior Fellow at the Information Law Institute at New York University. Her work addresses how people engage with networked technologies, and the wider political, cultural, legal, and policy-making implications. She is currently researching the implications of big data in a range of domains. Li Deng received his Ph.D. from the University of Wisconsin-Madison. He was an assistant professor (1989–1992), tenured associate professor (1992–1996), and tenured full professor (1996–1999) at the University of Waterloo, Ontario, Canada. In 1999, he joined Microsoft Research, Redmond, where he is currently a principal researcher. On the general topics of audio/speech/language technology and science, machine learning, and signal/information processing, he has published more than 300 refereed papers in leading journals and conferences as well as four books. He is a Fellow of the Acoustical Society of America, the Institute of Electrical and Electronics Engineers (IEEE), and the International Speech Communication Association. He served on the Board of Governors of the IEEE Signal Processing Society (2008–2010). More recently, he served as editor-in-chief for the IEEE Signal Processing Magazine (2009–2011), which earned the highest impact factor in 2010 and 2011 among all IEEE publications and for which he received the 2012 IEEE SPS Meritorious Service Award. He recently served as general chair of the IEEE ICASSP-2013, and currently serves as editor-in-chief for the IEEE Transactions on Audio, Speech, and Language Processing. His recent technical work on industry-scale deep learning with colleagues and academic collaborators has created a significant impact on speech recognition and in other areas of signal/information processing. Susan Dumais is a principal researcher and manager of the Context, Learning, and User Experience for Search (CLUES) Group at Microsoft Research. Prior to joining Microsoft in 1997, she was at Bellcore and Bell Labs where she developed Latent Semantic Indexing, a well-known statistical method for concept-based retrieval. Her current research focuses on the temporal dynamics of information systems, user modeling and personalization, interactive retrieval, and search evaluation. 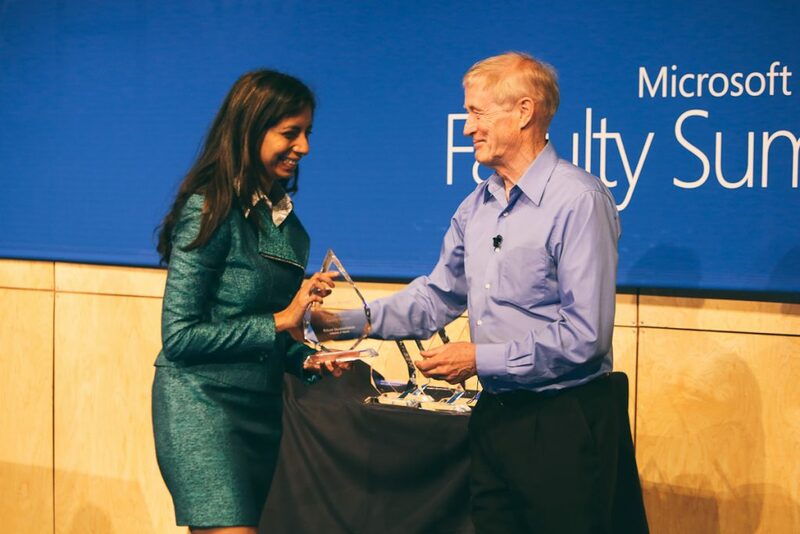 She has worked closely with several Microsoft groups (Bing, Windows Desktop Search, SharePoint Portal Server, and Office Online Help) on search-related innovations, and has published widely in the areas of human-computer interaction and information retrieval. Dumais is also an adjunct professor at the iSchool at the University of Washington. She was elected to the CHI Academy in 2005, was an ACM Fellow in 2006, received the Gerard Salton Award from SIGIR for Lifetime Achievement in 2009, and was elected to the National Academy of Engineering (NAE) in 2011. James Fogarty is an associate professor of Computer Science & Engineering at the University of Washington and an active member of DUB, the University of Washington’s cross-campus initiative advancing research and education in Human-Computer Interaction and Design. His research broadly explores opportunities for new technology and tools in everyday interaction, often with a focus on machine learning as a tool for enabling new forms of interaction and for scaling end-user interaction to big data. He has authored multiple award papers, received a 2010 NSF CAREER award, and chaired the CHI 2012 subcommittee on “Expanding Interaction through Technology, Systems, & Tools”. He obtained his Ph.D. in Human-Computer Interaction from Carnegie Mellon University in 2006 and his B.S. in Computer Science from Virginia Tech in 2000. William T. Freeman is professor and associate department head of the Electrical Engineering and Computer Science at the Massachusetts Institute of Technology, joining the faculty in 2001. His current research interests include motion re-rendering, computational photography, and learning for vision. He received outstanding paper awards at computer vision or machine learning conferences in 1997, 2006, 2009, and 2012, and a “test of time” award in 2013 for a 1995 paper. Previous research topics include steerable filters and pyramids, the generic viewpoint assumption, color constancy, bilinear models for separating style and content, and belief propagation in networks with loops. Freeman holds 30 patents. He is active in the program or organizing committees of computer vision, graphics, and machine learning conferences and was program co-chair for ICCV 2005 and CVPR 2013. William (Bill) H. Gates is chairman of Microsoft Corporation, where he continues to serve as an advisor on key development projects. Under Gates’ leadership, Microsoft’s mission has been to continually advance and improve software technology, and to make it easier, more cost-effective and more enjoyable for people to use computers. The company is committed to a long-term view, reflected in its industry-leading investment in research and development each year. Gates entered Harvard University as a freshman in 1973, where he lived down the hall from Steve Ballmer, now Microsoft’s chief executive officer. While at Harvard, Gates developed a version of the programming language, BASIC, for the first microcomputer—the MITS Altair. In his junior year, Gates left Harvard to devote his energies to Microsoft, a company he had begun in 1975 with his childhood friend Paul Allen. Guided by a belief that the computer would be a valuable tool on every office desktop and in every home, they began developing software for personal computers. Gates’ foresight and his vision for personal computing have been central to the success of Microsoft and the software industry. In 2008, Gates transitioned out of a day-to-day role in the company to spend more time on his global health and education work at the Bill & Melinda Gates Foundation, which he and his wife, Melinda, founded in 2000 to help reduce inequities in the United States and around the world. The foundation supports philanthropic initiatives in the areas of global health and learning, with the hope that in the twenty-first century, advances in these critical areas will be available for all people. Gates has published two highly acclaimed books, and he donated the proceeds of both books to non-profit organizations that support the use of technology in education and skills development. Lise Getoor is a professor in the Computer Science Department at the University of Maryland, College Park. Her primary research interests are in machine learning and reasoning with uncertainty, applied to graphs and structured data. She also works in data integration, social network analysis, and visual analytics. She has six best paper awards, an NSF Career Award, and is an Association for the Advancement of Artificial Intelligence (AAAI) Fellow. She has served as action editor for the Machine Learning Journal, JAIR associate editor, and TKDD associate editor. She is a board member of the International Machine Learning Society, has been a member of AAAI Executive Council, was PC co-chair of ICML 2011, and has served as senior PC member for conferences including AAAI, ICML, IJCAI, ISWC, KDD, SIGMOD, UAI, VLDB, WSDM, and WWW. She received her Ph.D. from Stanford University, her M.S. from the University of California, Berkeley, and her B.S. from the University of California, Santa Barbara. Kristen Grauman is an associate professor in the Department of Computer Science at the University of Texas at Austin (UT-Austin). Her research in computer vision and machine learning focuses on visual search and object recognition. Before joining UT-Austin in 2007, she received her Ph.D. in the Electrical Engineering and Computer Science department at the Massachusetts Institute of Technology, in the Computer Science and Artificial Intelligence Laboratory. She is an Alfred P. Sloan Research Fellow and Microsoft Research New Faculty Fellow, a recipient of the National Science Foundation CAREER and Office of Naval Research Young Investigator awards, and the recipient of the 2013 Computers and Thought Award from the International Joint Conference on Artificial Intelligence. Grauman and her collaborators were recognized with the CVPR Best Student Paper Award in 2008 for their work on hashing algorithms for large-scale image retrieval, and the Marr Best Paper Prize at ICCV in 2011 for their work on modeling relative visual attributes. Saikat Guha is a researcher at Microsoft Research India. He is broadly interested in systems approaches to improving online advertising—the business model behind the cloud, online social networks, and mobile app ecosystems. Guha’s recent projects are focused on improving advertiser return-on-investment by catching click-fraud in online ad systems, and on safeguarding user privacy in online ad systems. He is currently building a system to enable broader research participation in online ad systems. Saikat received his Ph.D. from Cornell University for integrating middle-boxes into the Internet architecture. He authored the RFC that now serves as the best-practice for building TCP support in NATs and firewalls. In 2012, Saikat was named one of MIT Technology Review’s TR-35 (35 young innovators under 35). Sumit Gulwani is a senior researcher in the Research in Software Engineering (RiSE) group at Microsoft Research, Redmond. His current research interests are in the cross-disciplinary application areas of automating end-user programming (for a variety of systems such as spreadsheets, smartphones, and robots), and in building intelligent tutoring systems (for grades K-14 math, programming, science, and language subjects). He has expertise in automated programming (from examples, natural language, logic) and program analysis techniques. Gulwani obtained his Ph.D. in Computer Science from the University of California, Berkeley, in 2005, was awarded the C.V. Ramamoorthy Award (for “outstanding contributions to a new research area in Computer Science”), and the ACM SIGPLAN Outstanding Doctoral Dissertation Award. He obtained his BTech in Computer Science and Engineering from Indian Institute of Technology Kanpur in 2000, and was awarded the President’s Gold Medal. David Haussler develops new computer-based algorithms to interpret comparative and high-throughput genomics data to understand gene structure, function, and regulation. As a collaborator on the international Human Genome Project, his team assembled the first human genome sequence and produced the UCSC Genome Browser. His group’s informatics work on cancer genomics provides a complete analysis pipeline from raw DNA reads through the detection and interpretation of mutations and altered gene expression in tumor samples. Recently, he built the CGHub database to hold all cancer genomics data for the National Cancer Institute. Haussler received his Ph.D. in computer science from the University of Colorado at Boulder. He is a member of the National Academy of Sciences and the American Academy of Arts and Sciences. He has won a number of awards, including the 2011 Weldon Memorial prize for application of mathematics and statistics to biology, the 2009 ASHG Curt Stern Award in Human Genetics, and the 2008 Senior Scientist Accomplishment Award from the International Society for Computational Biology. 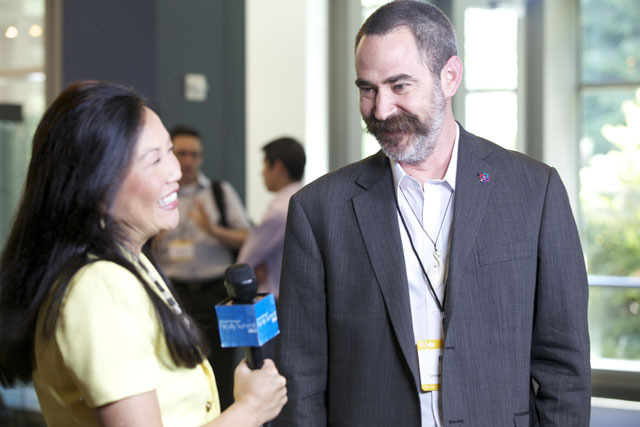 David Heckerman is senior director of eScience and Distinguished Scientist at Microsoft Research. He is known for his work in showing the importance of probability theory in artificial intelligence, for developing methods to learn graphical models from data, and for developing machine learning and statistical approaches for biological and medical applications, including the design of a vaccine for HIV and the identification of genetic causes of disease. David received his Ph.D. (1990) and M.D. (1992) from Stanford University, and is an Association for Computing Machinery (ACM) and Association for the Advancement of Artificial Intelligence (AAAI) Fellow. Tony Hey, vice president in Microsoft Research, is responsible for worldwide university research collaborations with Microsoft researchers. 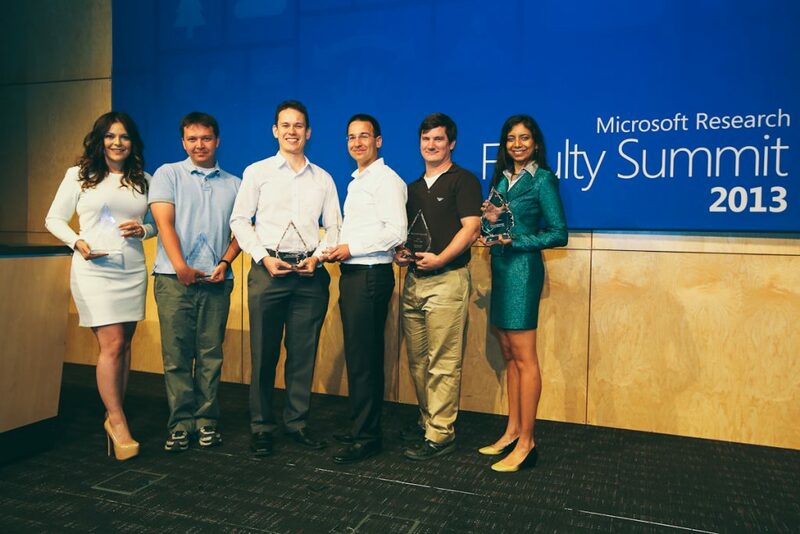 Hey is also responsible the multidisciplinary eScience Research Group within Microsoft Research. Before joining Microsoft, Hey served as director of the United Kingdom’s e-Science Initiative, managing the government’s efforts to build a new scientific infrastructure for collaborative, multidisciplinary, data-intensive research projects. Before leading this initiative, Hey led a research group in the area of parallel computing and was head of the School of Electronics and Computer Science, and dean of Engineering and Applied Science at the University of Southampton. Hey is a fellow of the U.K.’s Royal Academy of Engineering and was awarded a CBE for services to science in 2005. He is also a fellow of the British Computer Society, the Institute of Engineering and Technology, the Institute of Physics, and the U.S. American Association for the Advancement of Science (AAAS). Hey has written books on particle physics and computing and has a passionate interest in communicating the excitement of science and technology to young people. He has co-authored “popular” books on quantum mechanics and on relativity. Dan Huttenlocher is the Dean and Vice Provost for Cornell Tech, Cornell University’s new graduate applied-science campus in New York City. In this capacity, Huttenlocher oversees the academic quality and direction of the campus’ research, degree programs, and faculty recruitment as well as its entrepreneurial initiatives and early-stage investor network. Huttenlocher has a mix of academic and industry background, and he holds 24 U.S. patents and has published of more than 75 technical papers. Huttenlocher received his bachelor’s degree from the University of Michigan and both his master’s and doctorate degree from Massachusetts Institute of Technology. He currently serves as Trustee of the MacArthur Foundation. Nicole Immorlica’s research lies broadly within the field of algorithmic game theory. By using tools and modeling concepts from both theoretical computer science and economics, Immorlica hopes to explain, predict, and shape behavioral patterns in various online and offline systems, markets, and games. Her areas of specialty include social networks and mechanism design. Immorlica received her Ph.D. from Massachusetts Institute of Technology in 2005 and then completed three years of postdocs at both Microsoft Research in Redmond, Washington, and CWI in Amsterdam, Netherlands, before accepting a job as an assistant professor at Northwestern University in 2008. 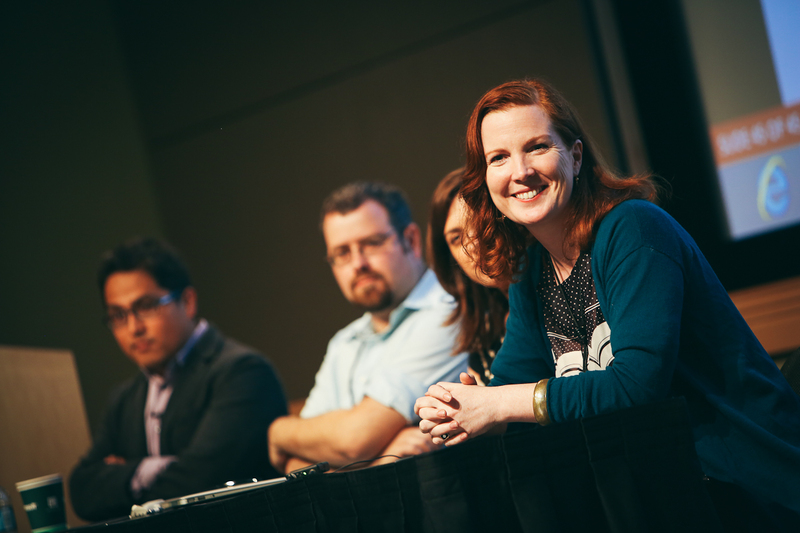 She joined the Microsoft Research New England Lab in 2012. Shahram Izadi is a senior research scientist within Microsoft Research Cambridge. He co-leads the Interactive 3D Technologies group, and holds a visiting professorship in the Virtual Environments and Computer Graphics group at University College London. He describes his work as: mashing together exotic sensing and display hardware with signal processing, vision, and graphics algorithms to create new interactive systems that enable users to experience computing in magical ways. His group has had many notable projects and publications to date, including KinectFusion, KinEtre, Vermeer, HoloDesk, Mouse 2.0, SurfacePhysics, SecondLight, and ThinSight. 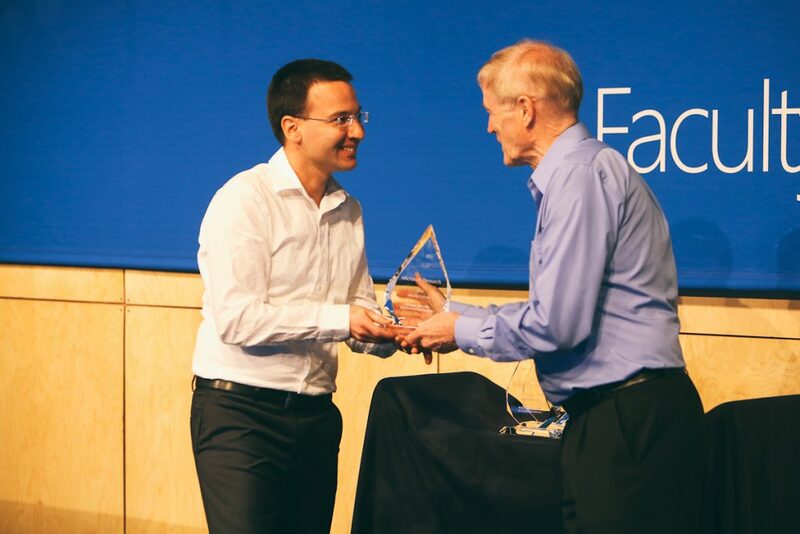 Shahram has been at Microsoft Research since 2005 and prior to that spent time at Xerox PARC. He received a TR35 award in 2009 and was nominated one of the Microsoft Next in 2012. 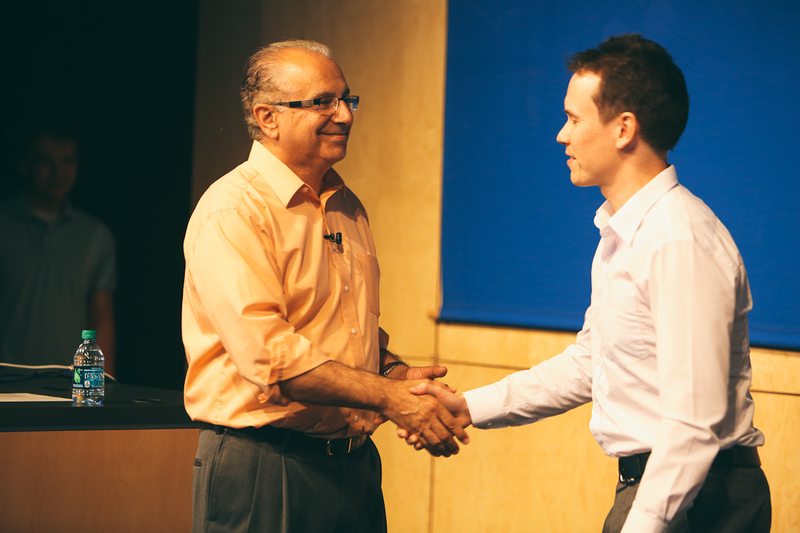 Harold Javid has enjoyed a career at the intersection of industry and academia. After completing a Ph.D. in Electrical Engineering at the University of Illinois at Urbana-Champaign, Javid worked for small companies as electronics division manager and general manager and in large companies including General Electric and Boeing as researcher and team manager. In 1998, after turning around a small company and then supporting its sale, he followed his heart back to his technical love—by joining Microsoft. 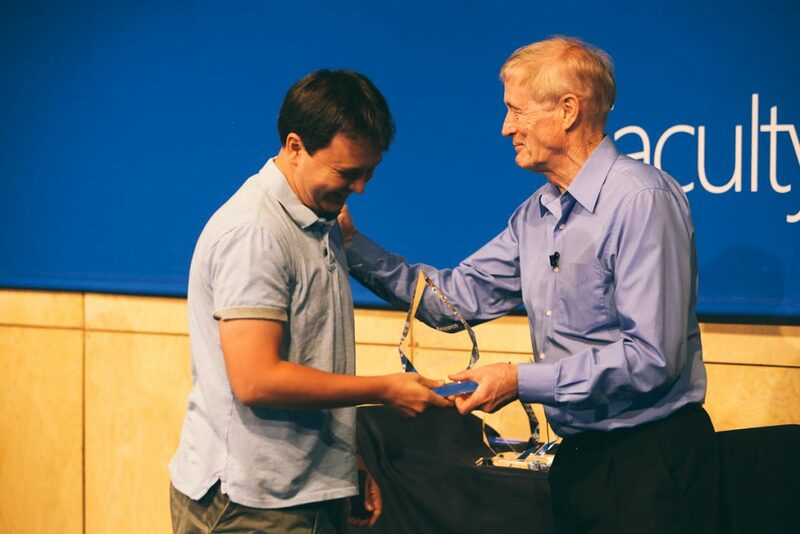 In his present role at Microsoft, he is responsible for regional connections and creating focused collaborations between Microsoft Research and universities in North America, Latin America, and Australia. Harold loves the academic interactions and opportunities to gain understanding of the global academic ecosystem. Javid served as chair of the Industry Advisory Board of the IEEE Computer Society from 2011 to 2012. He is presently serving on the IEEE Computer Society’s Board of Governors. Ashish Kapoor is a researcher within the Adaptive Systems and Interaction Group with Microsoft Research. His research interests center on interactive machine learning and computer vision with applications in user modeling and human-computer interaction scenarios. His current research focuses on systems that often involve humans in the loop and have the ability to adapt and learn over long periods of time. His previous work focused on building new multi-modal machine learning algorithms for affect recognition in real-life settings. A significant part of the research involved automatic analysis of non-verbal behavior and physiological responses and contributed to building an automatic learning companion that could recognize affective states of interest and boredom in users and respond appropriately. He received his Ph.D. from the Massachusetts Institute of Technology Media Laboratory in 2006 and a bachelor’s degree in computer science and engineering from the Indian Institute of Technology, Delhi. Nicolas Lambert is assistant professor of economics at the Stanford Graduate School of Business. His main research area is microeconomic theory, with a focus on information economics and electronic commerce. Lambert is an economist with a computer science background, he got his Ph.D. in computer science, also from Stanford, and he is interested in topics that bring together problems and techniques from different disciplines. Paul (Per-Ake) Larson has conducted research in the database field for more than 30 years. He served as a professor in the Department of Computer Science at the University of Waterloo for 15 years and joined Microsoft Research in 1996 where he is a principal researcher. Larson has worked in a variety of areas: file structures, materialized views, query processing, and query optimization among others. During the last few years, he has collaborated closely with the Microsoft SQL Server team on drastically improving system performance by adding column store indexes and a new main-memory database engine. Peter Lee is Distinguished Scientist and managing director of Microsoft Research Redmond. Microsoft Research Redmond’s mission is to make fundamental advances in computer science and engineering, and then use those advances to help drive innovations in new and existing products and services. 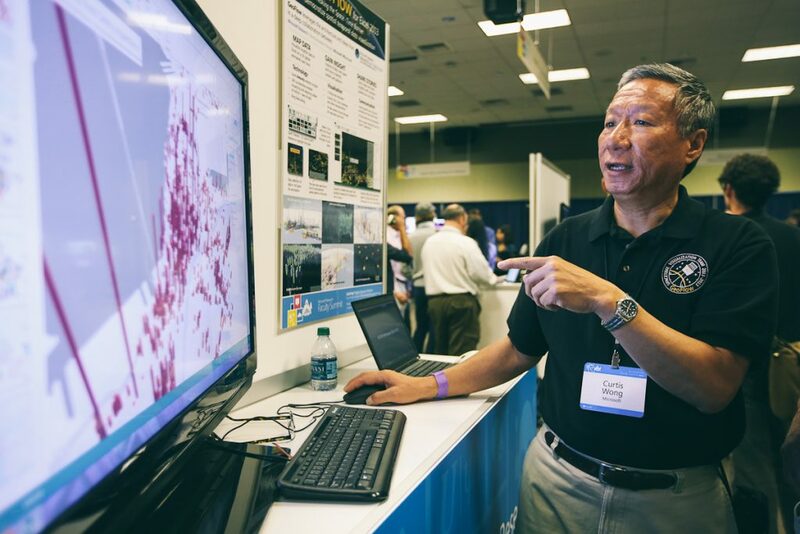 Prior to Microsoft, Lee was an office director at the Defense Advanced Research Projects Agency (DARPA), where he was responsible for developing and implementing the strategic vision and technical plans for a new office that conducted high-risk, high-payoff research projects spanning computer security, social networking, supercomputing, and many other areas of computer science. He was formerly a professor and head of the Computer Science Department at Carnegie Mellon University (CMU), having also served briefly as the vice provost for Research. He joined the CMU faculty in 1987, after completing his doctoral studies at the University of Michigan. Lee is an active researcher, educator, administrator, and servant to the academic community. His research contributions lie mainly in areas related to the foundations of software reliability, program analysis, security, and language design. He is an ACM Fellow, member of the National Research Council’s Computer Science and Telecommunications Board, and former chair of the Board of Directors of the Computing Research Association and its Government Affairs Committee. He is the author of two books, has authored or co-authored more than 50 refereed papers, and has advised or co-advised 14 completed Ph.Ds. Justin Levandoski is a researcher in the Database Group at Microsoft Research, joining in 2011. He is interested in a broad range of topics dealing with large-scale data management systems. His current interests include main-memory databases, database support for new hardware platforms, transaction processing, cloud computing, and support for new data-intensive applications, such as social/recommender systems. His past work includes non-blocking join algorithms, Resource Description Framework (RDF) data management, and context and preference-aware data management. His work on scalable location-aware recommender systems received a “best-of-conference” citation in ICDE 2012. 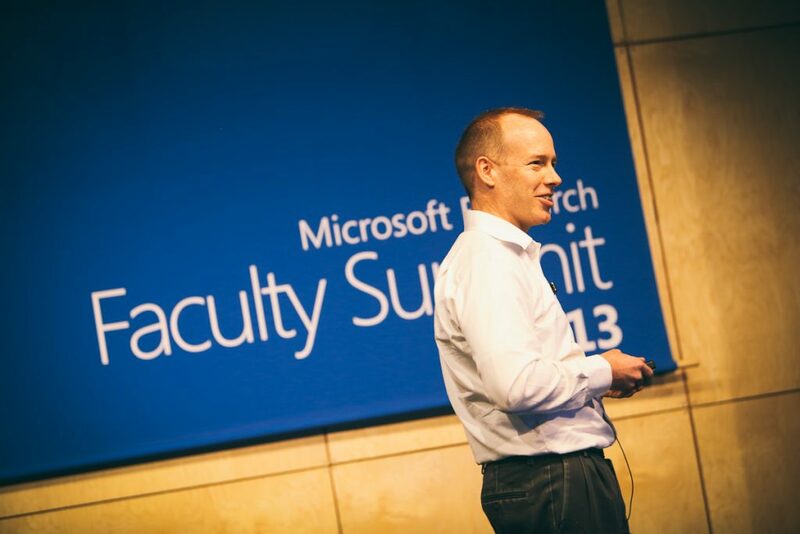 Prior to joining Microsoft, Justin received a Ph.D. from the University of Minnesota and a B.A. from Carleton College. During his Ph.D. studies, he was the main architect of CareDB, a context and preference-aware database system. Lihong Li is a researcher in the Machine Learning Group at Microsoft Research Redmond. Prior to joining Microsoft Research, he was a research scientist in the Machine Learning Group at Yahoo! Research. He obtained a Ph.D. degree in Computer Science from Rutgers University, advised by Michael Littman; an MSc from the University of Alberta, advised by Vadim Bulitko and Russell Greiner; and a B.E. from Tsinghua University. In the summers of 2006 through 2008, he enjoyed interning at Google, Yahoo! Research, and AT&T Shannon Labs, respectively. His main research interests are in machine learning with interaction, including reinforcement learning, multi-armed bandits, online learning, active learning, and their numerous applications on the Internet. He is the winner of an ICML’08 Best Student Paper Award, a WSDM’11 Best Paper Award, and an AISTATS’11 Notable Paper Award. Percy Liang is an assistant professor of Computer Science at Stanford University (B.S. from MIT, 2004; Ph.D. from UC Berkeley, 2011). His research focuses on methods for learning richly structured statistical models from limited supervision, most recently in the context of semantic parsing in natural language processing. He won a best student paper at the International Conference on Machine Learning in 2008, received the NSF, GAANN, and NDSEG fellowships, and is also a 2010 Siebel Scholar. Jennifer Lin is a senior product manager at PLOS. She is passionate about open access and its political and social impacts. As a former business consultant with Accenture, she worked with Fortune 500 companies as well as governments to develop and deploy new products and services. Jennifer received her Ph.D. in political philosophy and has served as an instructor at Johns Hopkins University. Michael L. Littman joined Brown University’s Computer Science Department after 10 years (including three as chair) at Rutgers University. His research in machine learning examines algorithms for decision making under uncertainty. Littman has earned multiple awards for teaching and his research has been recognized with three best-paper awards on the topics of meta-learning for computer crossword solving, complexity analysis of planning under uncertainty, and algorithms for efficient reinforcement learning. He has served on the editorial boards of the Journal of Machine Learning Research and the Journal of Artificial Intelligence Research. In 2013, he is general chair of the International Conference on Machine Learning (ICML) and program co-chair of the Association for the Advancement of Artificial Intelligence Conference. He served as program co-chair of ICML 2009. Ben Livshits is a researcher at Microsoft Research and an affiliate professor at the University of Washington. His research interests include application of sophisticated static and dynamic analysis techniques to finding errors in programs. Livshits has published papers at PLDI, POPL, Oakland Security, Usenix Security, CCS, SOSP, ICSE, FSE, and many other venues. He is known for his work in software reliability—especially tools to improve software security. He has a primary focus on approaches to finding buffer overruns in C programs, cross-site scripting, SQL injections, and so forth, in web-based applications. Lately, he has been focusing on how Web 2.0 application and browser reliability, performance, and security can be improved through a combination of static and runtime techniques. Originally from St. Petersburg, Russia, he received a bachelor’s degree from Cornell University, and his M.S. and Ph.D. in Computer Science from Stanford University. David Lomet (Ph.D. from University of Pennsylvania) is a principal researcher and manager of the Database Group at Microsoft Research Redmond. Earlier, he was at Digital’s Cambridge Research Lab, Wang Institute, and IBM Research in Yorktown. Lomet has over 100 papers on databases, indexing, concurrency, and recovery, including two SIGMOD “best papers”. He is an inventor of transactions. Lomet has served on SIGMOD, VLDB, and ICDE PCs, being co-chair of ICDE 2000 and VLDB 2006. He won SIGMOD’s Contributions Award for his service as Data Engineering Bulletin Editor-in-Chief since 1992. He has been editor of ACM TODS, VLDB Journal, and DAPD. He has served on the VLDB Endowment and ICDE Steering Committee, has been IEEE TCDE Chair and is a Fellow of AAAS, ACM, and IEEE. Lucco received a Ph.D. from the University of California Berkeley where he pursued research interests in programming language design and implementation, natural language understanding, and runtime systems for multi-core processors. He has also pursued these interests as an undergraduate at Yale, a researcher at Bell Labs, and a faculty member at Carnegie Mellon University. Ratul Mahajan is a senior researcher at Microsoft Research and an affiliate professor at the University of Washington. His research interests include all aspects of networked systems. His current work focuses on smart home technologies, software-defined networks, and network verification, and his past work spans Internet routing and measurements, incentive-compatible protocol design, and wireless and vehicular networks. He has published more than 30 papers in top-tier venues such as SIGCOMM, SOSP, MobiSys, and CHI. 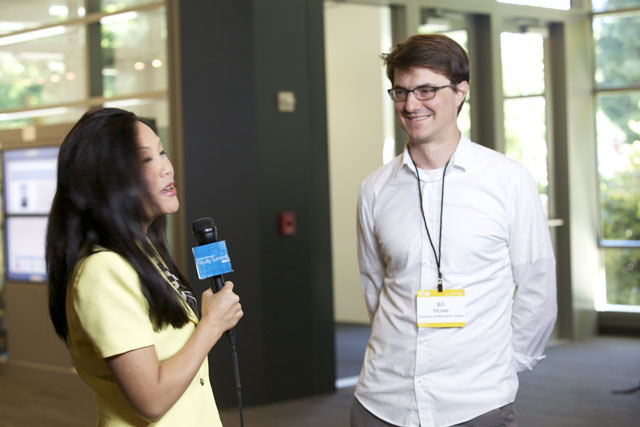 He is a winner of the ACM SIGCOMM Rising Star award, the William R. Bennett prize, the SIGCOMM best paper award, and Microsoft Research Graduate Fellowship. He obtained his Ph.D. from the University of Washington (2005) and B.Tech. from the Indian Institute of Technology, Delhi (1999). Charles Marcus is the Villum Kann Rasmussen Professor and Director of the Center for Quantum Devices, at the Niels Bohr Institute, University of Copenhagen in Denmark. Marcus received his Ph.D. from Harvard University. He taught at Stanford (1992–2000) and Harvard (2000–2012), where he also served as director of the Harvard Center for Nanoscale Systems (2004–2009). Marcus’s research focuses on quantum coherence in electron devices and solid-state implementations of quantum information processing systems. Recent work includes experiments on spin control in semiconductor quantum dot systems, control of electronic states in nanowires, carbon nanotubes and graphene, development of hyperpolarized nanoparticles for medical imaging, interference effects in the fractional quantum Hall regime with the aim of detecting non-abelian particle statistics, and realization and control of Majorana fermions in semiconductor/superconductor hybrid structures. Marcus is a Fellow of the American Physical Society, recipient of the Newcomb-Cleveland Prize from the AAAS, the Presidential Early Career Award, and the Sloan Fellowship. Filippo Menczer is a professor of informatics and computer science, adjunct professor of physics, and a member of the cognitive science program at Indiana University, Bloomington (IUB). He holds a Laurea in Physics from the University of Rome and a Ph.D. in Computer Science and Cognitive Science from the University of California, San Diego. Menczer has been the recipient of Fulbright, Rotary Foundation, and NATO fellowships, and a Career Award from the National Science Foundation. He currently serves as director of the Center for Complex Networks and Systems Research. He previously served as division chair in the IUB School of Informatics and Computing, as Fellow-at-large of the Santa Fe Institute, and as Lagrange Senior Fellow at the Institute for Scientific Interchange Foundation in Torino, Italy. His research is supported by the NSF, DARPA, and the McDonnell Foundation. It focuses on web science, social networks, social media, social computation, web mining, distributed and intelligent web applications, and modeling of complex information networks. Andrés Monroy-Hernández is a researcher at Microsoft Research and an Affiliate at Harvard University’s Berkman Center for Internet & Society. His work focuses on the design and study of social computing systems that support creative and civic collaboration. His research has been featured in the New York Times, CNN, Wired, and has received awards from MIT Technology Review, Ars Electronica, and the MacArthur Digital Media and Learning Competition. He holds a Ph.D. from the MIT Media Lab and a B.S. in Computer Science from Tec de Monterrey in Mexico. Enrico Motta has a Ph.D. in Artificial Intelligence and is professor of Knowledge Technologies at the Knowledge Media Institute of The Open University. He is the author of more than 280 refereed publications and his h-index is 49. Currently, much of his research focuses on the design and implementation of innovative user-centric solutions, which are able to take advantage of the very large amounts of data that are available online by using hybrid methods that typically integrate language, semantic, and machine learning technologies. In particular, he is currently working on a novel tool that supports the exploration of scholarly data to facilitate trend analysis and expert search in academia, and to allow users to discover interesting relations and similarities between authors. Motta is editor-in-chief of the International Journal of Human-Computer Studies, which is ranked as the top journal in HCI by Microsoft Academic Search. He is also a member of the Editorial Boards of the Journal of Web Semantics and IEEE Intelligent Systems. In 2003, he founded the International Summer School on Ontology Engineering and the Semantic Web, which is now in its tenth edition. Motta is a member of the Management Committee of the Semantic Web Science Association and has advised strategic research boards and governments in several countries, including the United States, the United Kingdom, the Netherlands, Austria, Finland, and Estonia. Together with Tom Heath, he won the Semantic Web Challenge at the 2007 International Semantic Web Conference and, in collaboration with members of his research group, he won the best paper award at the 2008 and 2009 Asian Semantic Web Conferences. Muthu Muthukrishnan is a research scientist at Microsoft Research, India. Muthu’s research interests are in building and analyzing online advertising marketplaces, including sponsored search, display ads, and ad exchanges. Vivek Narasayya is a principal researcher in the Extreme Computing Group (XCG) at Microsoft Research. His interests include self-tuning database systems, query processing and optimization, and performance in multi-tenant cloud data services. He has been a founding member of the Autoadmin project, whose goal is to reduce the total cost of ownership of databases by making database systems more self-tuning. In addition to research on AutoAdmin, Vivek played a leading role in shipping the Index Tuning Wizard (in Microsoft SQL Server 7.0 and SQL Server 2000) and Database Engine Tuning Advisor (in SQL Server 2005, 2008, 2012). Vivek received the Bachelor of Technology degree from the Indian Institute of Technology, Madras, India, and a Ph.D. from the University of Washington. Thomas Neumann conducts research on database systems, focusing on query optimization (computing efficient query strategies) and query processing (efficient query execution). He studied business information systems at the University of Mannheim and received a doctorate in informatics from the same university in 2005. Before joining TUM (2010), Neumann was a senior researcher at the Max Planck Institute for Informatics in Saarbrücken. He acquired his postdoctoral teaching qualification (habilitation) in informatics from Saarland University (2010). Andrew Ng focuses his research is in machine learning and artificial intelligence, with an emphasis on deep learning, which uses very large-scale cortical (brain) simulations. His deep learning methods have achieved state-of-the-art performance in many applications, including ones in images, video, audio, and text/natural language processing (NLP). He also founded and led Google’s deep learning team, which built a massive-scale artificial neural network (trained on 16,000 CPU cores), that learned from unlabeled YouTube videos to detect high-level concepts such as cats. In 2011, he taught an online machine learning class to more than 100,000 students, leading to the founding Coursera, which partners with top universities to offer free online courses. With 62 university partners, more than 300 courses, and more than 3 million students, Coursera is today by far the world’s largest MOOC (Massive Open Online Courses) platform. Leysia Palen is an associate professor of Computer Science at the University of Colorado Boulder and an adjunct full professor in Information Systems at the University of Agder in Norway. She is the director of the $2.8 million NSF-funded “Project EPIC: Empowering the Public with Information in Crisis.” She examines human behavior in and design of socio-technical systems. Her most recent work is in the area of crisis informatics, though she has worked in aviation, digital privacy behavior, personal information management, and mobile technology diffusion. She completed her Ph.D. at the University of California, Irvine, in Information and Computer Science and her B.S. in Cognitive Science at the University of California, San Diego. In 2006, Palen was awarded an NSF CAREER Grant for her “Data in Disaster” proposal to study information dissemination in disaster events. From 2005 to 2006, she was a visiting professor at the University of Aarhus, Denmark. Bryan Parno works in the Security and Privacy Research Group at Microsoft Research. His current work focuses on protocols for verifiable computation and zero-knowledge proofs, building practical, formally verified secure systems, and developing next-generation application models. He completed his Ph.D. at Carnegie Mellon University under the supervision of Adrian Perrig. Parno’s dissertation, which won the 2010 ACM Doctoral Dissertation Award, studies the design, implementation, and evaluation of a combination of hardware, software, and cryptographic primitives for extending the trust one has in a service or device in order to allow one to trust other services and devices. He recently published a book on Bootstrapping Trust in Modern Computers. Jignesh Patel is a professor in Computer Sciences at the University of Wisconsin-Madison, which is where he also got his Ph.D. He has been working in the area of database for the last two decades. He is the recipient of an NSF Career Award, and multiple Google, IBM, and Microsoft faculty awards. He has a strong interest in seeing research ideas transition to actual products. His thesis work was commercialized and acquired by NCR/Teradata, and at Wisconsin he recently founded an undergraduate entrepreneurship contest called CS NEST (along with two undergraduate students) Three startups seeded from this program are now operating in Madison. Patel is also an ACM Distinguished Scientist. David Andrew Patterson is an American computer pioneer and academic who has held the position of professor of Computer Science at the University of California, Berkeley since 1977. Patterson is noted for his pioneering contributions to RISC (reduced instruction set computing) processor design, having coined the term RISC, and by leading the Berkeley RISC project. He is also noted for his research on RAID (redundant array of independent disks). Patterson’s book on computer architecture (co-authored with John L. Hennessy) is widely used in computer science education. Patterson is a Fellow of the American Association for the Advancement of Science. David Pennock is a principal researcher and assistant managing director of Microsoft Research in New York City, focusing on algorithmic economics. He has more than 60 academic publications relating to computational issues in electronic commerce and the web, including papers in PNAS, Science, IEEE Computer, Theoretical Computer Science, Algorithmica, AAAI, EC, KDD, UAI, SIGIR, ICML, NIPS, and WWW. He has authored three patents and 13 patent applications. In 2005, he was named to MIT Technology Review’s list of 35 top technology innovators under age 35. Prior to his current position, Pennock worked as a principal research scientist at Yahoo! Research, a research scientist at NEC Laboratories America, a research intern at Microsoft Research, and in 2001 served as an adjunct professor at Pennsylvania State University. He received a Ph.D. in Computer Science from the University of Michigan, an M.S. in Computer Science from Duke University, and a B.S. in Physics from Duke. His work has been featured in Discover Magazine, New Scientist, CNN, The New York Times, The Economist, Surowiecki’s The Wisdom of Crowds, and other publications. Zoran Popovic is a director of Center for Game Science at University of Washington and founder of Engaged Learning. A computer scientist with research interests in creating collective intelligence, Popovic focuses on creating interactive engaging environments for learning and scientific discovery. His laboratory created Foldit, a biochemistry game that produced three Nature publications in just two years, as well as an award-winning math learning games played by more than 1 million learners worldwide. He is currently focusing on engaging methods that can rapidly develop experts in arbitrary domains with particular focus on revolutionizing K-12 math education. He recently founded Engaged Learning to create entire curricula around specialization and adaptation methods he developed for learning games. His contributions to the field of interactive computer graphics have been recently recognized by a number of awards including the US National Science Foundation (NSA) CAREER Award, an Alfred P. Sloan Fellowship, and the ACM SIGGRAPH Significant New Researcher Award. Richard (Rick) F. Rashid, corporate vice president, Microsoft Corporation, oversees worldwide operations for Microsoft Research, an organization encompassing more than 850 researchers across six labs worldwide. Under Rashid’s leadership, Microsoft Research conducts both basic and applied research across disciplines that include algorithms and theory; human-computer interaction; machine learning; multimedia and graphics; search; security; social computing; and systems, architecture, mobility and networking. His team collaborates with the world’s foremost researchers in academia, industry, and government on initiatives to advance the state of the art of computing and to help ensure the future of Microsoft’s products. Raghu Ramakrishnan is a Technical Fellow in the Server and Tools Business (STB) at Microsoft. He focuses his work on big data and integration between STB’s cloud offerings and the Online Services Division’s platform assets. He has more than 15 years of experience in the fields of database systems, data mining, search, and cloud computing. Ramakrishnan has been chief scientist for three divisions at Yahoo! Inc. over the past five years (Audience, Cloud Platforms, Search), as well as a Yahoo! Fellow leading applied science and research teams in Yahoo! Labs. He led the science teams for major Yahoo! initiatives, including the CORE personalization project, the PNUTS geo-replicated cloud service platform and the creation of Yahoo!’s Web of Objects through web-scale information extraction. Before joining Yahoo! in 2006, he was member of the computer science faculty at University of Wisconsin-Madison since 1987, and was founder and chief technical officer of QUIQ, a company that pioneered crowd-sourced question-answering communities. His work in database systems has influenced query optimization in commercial database systems and the design of window functions in SQL:1999. He has written the widely used text “Database Management Systems” (with Johannes Gehrke). Ramakrishnan has received several awards, including the ACM SIGKDD Innovations Award, the ACM SIGMOD Contributions Award and the 10-Year Test-of-Time Award, a Distinguished Alumnus Award from IIT Madras, and a Packard Foundation Fellowship. He is a Fellow of the ACM and IEEE, serves on the steering committee of the ACM Symposium on Cloud Computing and the board of directors of ACM SIGKDD, and is a past chair of ACM SIGMOD and member of the board of trustees of the Very Large Data Base Endowment. Ramakrishnan earned a bachelor’s degree in electrical engineering from the Indian Institute of Technology Madras and a doctorate in computer science from the University of Texas at Austin. Eric Rudder is executive vice president of Microsoft’s Advanced Strategy and Research group, responsible for the company’s overall technical strategy, technology policy and forward-looking development efforts. He oversees Microsoft Research, one of the world’s premier computer science research organizations, as well as the company’s Trustworthy Computing group, Technology Policy group, Startup Business group, and the Strategic Software and Silicon Architectures team. Previously, Rudder served as senior vice president of Server and Tools, and was responsible for leading the company’s outreach to the developer community. Rudder and his team delivered the overall programming model for the Microsoft .NET platform and created the best tools for the developer and designer communities. Rudder also served as vice president of Technical Strategy working directly with Microsoft Chairman Bill Gates on the company’s technical planning. His past roles at Microsoft have spanned networking, operating systems and developer tools in both leadership and technical capacities. Ruslan Salakhutdinov received his Ph.D. in computer science from the University of Toronto in 2009. After spending two post-doctoral years at the Massachusetts Institute of Technology Artificial Intelligence Lab, he joined the University of Toronto as an assistant professor in the Departments of Statistics and Computer Science. Salakhutdinov’s primary interests lie in artificial intelligence, machine learning, deep learning, and large-scale optimization. He is an Alfred P. Sloan Research Fellow and Microsoft Research New Faculty Fellow, a recipient of the Early Researcher Award, Connaught New Researcher Award, and is a Scholar of the Canadian Institute for Advanced Research. Juliana Salles is Microsoft Research Connections’ senior research program manager in Brazil, where she engages with academics to identify globally critical, high-impact research projects. She is working on projects that use technology to enable or accelerate knowledge in such areas as tropical environments and their response to climate change, bioenergy, and biodiversity. She is also leading initiatives to attract and retain women in computing in Latin America. Salles has a Ph.D. in human-computer interaction and, since joining Microsoft, has worked as a user experience researcher for several product teams, including Microsoft Visual Studio, Windows Live, and Windows Live Mobile. Her interests include user research techniques and methodology, and their integration with the software development process. Stefan Savage is a professor of Computer Science and Engineering at the University of California, San Diego (UCSD). He received his Ph.D. in Computer Science and Engineering from the University of Washington and a B.S. in Applied History from Carnegie Mellon University. Savage’s research interests lie at the intersection of distributed systems, networking, and computer security, with a current focus on embedded security and the economics of cybercrime. He currently serves as director of UCSD’s Center for Network Systems (CNS) and as co-director for the Center for Evidence-based Security Research (CESR), a joint effort between UCSD and the International Computer Science Institute. Savage is a Sloan Fellow and an ACM Fellow. Clay Shirky is an American writer, consultant, and teacher on the social and economic effects of Internet technologies. He has a joint appointment at New York University as a Distinguished Writer in Residence at the Arthur L. Carter Journalism Institute, and assistant arts professor in the new-media–focused, graduate Interactive Telecommunications program. His courses address, among other things, the interrelated effects of the topology of social networks and technological networks, how our networks shape culture, and vice-versa. Patrice Simard is a Distinguished Engineer at Microsoft Research, Redmond. He is passionate about finding new ways to combine engineering and science in the field of machine learning. His research focus is to make machine learning widely accessible for replicating tasks easily done by humans. Simard received a Ph.D. in Computer Science from the University of Rochester. He worked at AT&T Bell Laboratories before joining Microsoft in 1998. He was the chief scientist and general manager of Live Labs Research and then the chief scientist of AdCenter. Since 2012, he has managed the Computer-Human Interactive Learning group in Microsoft Research. Armando Solar-Lezama is an associate professor without tenure at the Massachusetts Institute of Technology, where he leads the Computer Aided Programming group. His work focuses on software synthesis and computer supported programming, with a particular focus on performance, security, and programmer productivity. He holds a Ph.D. from the University of California at Berkeley and B.S. degrees in Computer Science and Math from Texas A&M University. Noah Snavely is an assistant professor of Computer Science at Cornell University, where he has been on the faculty since 2009. He received a B.S. in Computer Science and Mathematics from the University of Arizona in 2003, and a Ph.D. in Computer Science and Engineering from the University of Washington in 2008. Snavely works in computer graphics and computer vision, with a particular interest in using vast amounts of imagery from the Internet to reconstruct and visualize our world in 3-D, and in creating new tools for enabling people to capture and share their environments. His thesis work was the basis for Microsoft’s Photosynth, a tool for building 3-D visualizations from photo collections that has been used by many thousands of people. Snavely is the recipient of a Microsoft New Faculty Fellowship and an NSF CAREER Award, and has been recognized by Technology Review’s TR35. Ion Stoica is a professor in the EECS Department at University of California at Berkeley. He received his Ph.D. from Carnegie Mellon University in 2000. He conducts research on cloud computing and networked computer systems. His past work includes the Dynamic Packet State, Chord DHT, Internet Indirection Infrastructure, declarative networks, replay-debugging, and multi-layer tracing in distributed systems. His current research focuses on resource management and scheduling for data centers, cluster computing frameworks, and network architectures. He is an ACM Fellow and has received numerous awards, including the SIGCOMM Test of Time Award (2011) and the ACM doctoral dissertation award (2001). In 2006, he co-founded Conviva, a startup to commercialize technologies for large-scale video distribution. Richard Szeliski is a Distinguished Scientist at Microsoft Research, where he leads the Interactive Visual Media Group. He is also an affiliate professor at the University of Washington, and is a Fellow of the ACM and IEEE. Szeliski pioneered the field of Bayesian methods for computer vision, as well as image-based modeling, image-based rendering, and computational photography, which lie at the intersection of computer vision and computer graphics. His most recent research on Photo Tourism and Photosynth is an exciting example of the promise of large-scale image-based rendering. Szeliski received his Ph.D. degree in Computer Science from Carnegie Mellon University, Pittsburgh, in 1988 and joined Microsoft Research in 1995. He has published more than 150 research papers in computer vision, computer graphics, medical imaging, neural nets, and numerical analysis, as well as the books Bayesian Modeling of Uncertainty in Low-Level Vision and Computer Vision: Algorithms and Applications. Eva Tardos is a Jacob Gould Schurman professor of Computer Science at Cornell University, is currently senior associate dean of Computing and Information Science, and was Computer Science department chair from 2006 to 2010. She received her B.A. and Ph.D. from Eotvos University in Budapest, Hungary, and joined Cornell in 1989. She has been elected to the National Academy of Engineering and the American Academy of Arts and Sciences, and is the recipient of a number of fellowships and awards including the Packard Fellowship, the Goedel Prize, and the IEEE Technical Achievement Award. She was editor-in-chief of SIAM Journal of Computing from 2004 to 2009, and is currently editor of several other journals, including the Journal of the ACM and Combinatorica. Tardos’ research interest is algorithms and algorithmic game theory, the subarea of theoretical computer science theory of designing systems and algorithms for selfish users. Her research focuses on algorithms and games on networks. She is most known for her work on network-flow algorithms, approximation algorithms, and quantifying the efficiency of selfish routing. David Traum is a principal scientist at the Institute for Creative Technologies (ICT) and a research faculty member at the Department of Computer Science, both at the University of Southern California. He earned his Ph.D. in computer science at University of Rochester in 1994. At ICT, Traum leads the Natural Language Dialogue Group, which consists of seven Ph.D.s, four students, and four other researchers. Traum is author of more than 200 technical articles, is a founding editor of the journal Dialogue and Discourse and is currently on the board (and a past president) of SIGDIAL, the international special interest group in discourse and dialogue. Traum’s research focuses on dialogue communication between human and artificial agents. He has pioneered several research thrusts in computational dialogue modeling, including computational models of grounding (how common ground is established through conversation), the information state approach to dialogue, multiparty dialogue, and non-cooperative dialogue. Matthias Troyer is a professor of computational physics at ETH Zurich and a consultant for the quantum computing activities at Microsoft Research. He is a recipient of an ERC Advanced Grant of the European Research Council, a Fellow of the American Physical Society and a member of the Aspen Center for Physics. His research activities center on large-scale simulations of quantum systems, development of new simulation algorithms and high performance computing. His love for new tech gadgets has led him from supercomputing to quantum devices. He has tested quantum random number generators, validated analog quantum simulators for materials (one of the scientific breakthroughs of the year 2010 according to Science magazine) and recently explored the computational capabilities of the controversial devices built by D-Wave Systems. George Varghese obtained his Ph.D. in 1992 from the Massachusetts Institute of Technology. He worked from 1993 to 1999 at Washington University, and from 1999 to 2012 at University of California, San Diego, both as professor of computer science. He won the ONR Young Investigator Award in 1996, and was elected to be a Fellow of the Association for Computing Machinery (ACM) in 2002. His book, Network Algorithmics was published in December 2004 by Morgan-Kaufman. In May 2004, he co-founded NetSift Inc., which was acquired by Cisco Systems in 2005. He has been interested in computer systems approaches to genomic analysis since 2009. He joined Microsoft Research in 2012. Alex Wade is director for Scholarly Communication within the Microsoft Research Connections team, where he oversees several projects and partnerships with academia related to researcher productivity, academic search, research data management, and virtual research environments. Wade holds a bachelor’s degree in Philosophy from University of California Berkeley, and a master’s of Librarianship from the University of Washington. During his career at Microsoft, Wade has managed the corporate search and taxonomy management services, has shipped a Microsoft SharePoint-based document and workflow management solution for Sarbanes-Oxley compliance, and served as program manager for Search in the Windows Vista and Windows 7 releases. Prior to joining Microsoft, Alex was systems librarian at the University of Washington, and held technical library positions at the University of Michigan and the University of California at Berkeley. Jevin West is a post-doctoral researcher at the University of Washington. He builds models, algorithms, and interactive visualizations for improving scholarly communication and for understanding the flow of information in large knowledge networks. His roots in biology, where he studied information from an evolutionary lens, sparked his interest in networks and led to his work on citation networks. West co-founded Eigenfactor.org—a free website and research platform that librarians, administrators, publishers, and researchers use to map science and identify influential journals, papers, and scholars. The metrics have become an industry standard, and his research has been featured in The Chronicle of Higher Education, Nature, and Science. He has been invited to more than 50 conferences and meetings around the globe to present his research. Some of his most recent research involves recommendation, auto-classification, and patent valuation. Kamin Whitehouse works on intelligent buildings as an associate professor in the Computer Science Department at the University of Virginia. The US National Science Foundation (NSF) presented him with the CAREER award for his work. He earned his B.A. and B.S. from Rutgers University and his M.S. and Ph.D. from the University of California, Berkeley. 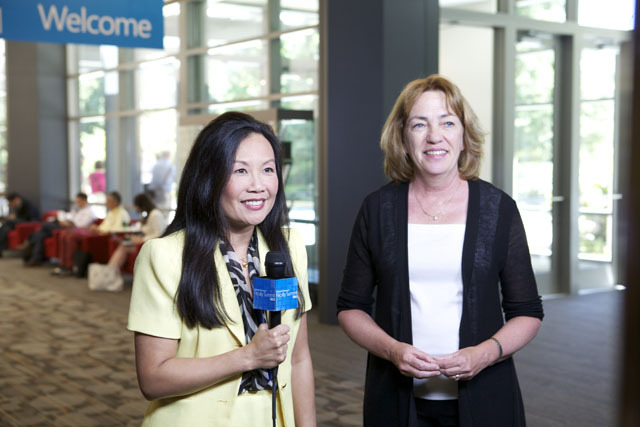 Jeannette M. Wing is corporate vice president, head of Microsoft Research International. She has been on the faculty at Carnegie Mellon University since 1985, where she twice served as the head of the Computer Science Department. From 2007-2010 she was the assistant director of the Computer and Information Science and Engineering Directorate at the National Science Foundation. She received her S.B., S.M., and Ph.D. degrees from the Massachusetts Institute of Technology (MIT). Wing’s general research interests are in the areas of trustworthy computing, specification and verification, concurrent and distributed systems, programming languages, and software engineering. Her current interests are in the foundations of security and privacy. She was or is on the editorial board of twelve journals, including the Journal of the ACM and Communications of the ACM. 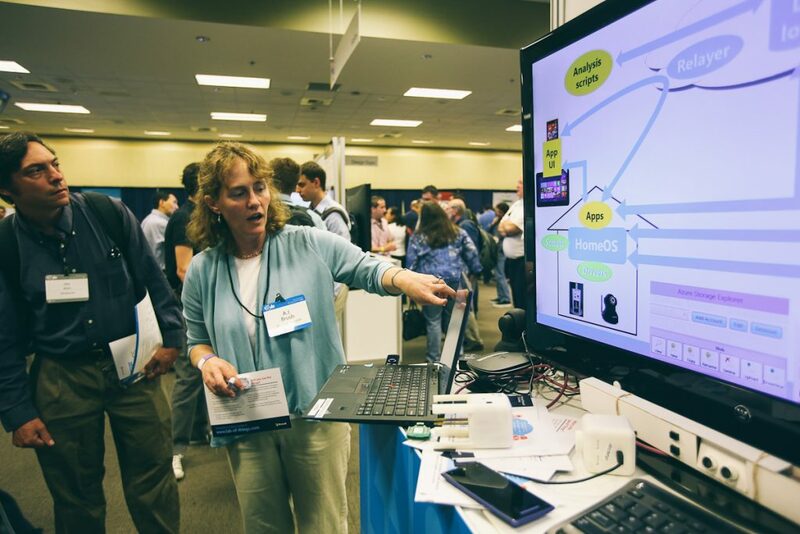 She is currently vice chair of the DARPA Information Science and Technology (ISAT) Board, and is on the ACM Infosys Award Committee and the Microsoft New Faculty Fellowship Selection Committee. She has been a member of many other advisory boards, including: Networking and Information Technology (NITRD) Technical Advisory Group to the President’s Council of Advisors on Science and Technology (PCAST), National Academies of Sciences’ Computer Science and Telecommunications Board, ACM Council, Computing Research Association Board, DARPA ISAT, NSF’s CISE Advisory Committee, Microsoft Trustworthy Computing Academic Advisory Board, General Electric Academic Software Advisory Panel, and the Sloan Research Fellowships Program Committee. She served as co-chair of NITRD from 2007 to 2010. She was on the faculty at the University of Southern California, and has worked at Bell Laboratories, USC/Information Sciences Institute, and Xerox Palo Alto Research Laboratories. She spent sabbaticals at MIT in 1992 and at Microsoft Research 2002-2003. She received the CRA Distinguished Service Award in 2011. She is a member of Sigma Xi, Phi Beta Kappa, Tau Beta Pi, and Eta Kappa Nu. She is a Fellow of the American Academy of Arts and Sciences, American Association for the Advancement of Science, the Association for Computer Machinery (ACM), and the Institute of Electrical and Electronic Engineers (IEEE). Xiaojin (Jerry) Zhu is an associate professor in the Department of Computer Sciences at the University of Wisconsin-Madison. He received his B.S. and M.S. degrees in Computer Science from Shanghai Jiao Tong University in 1993 and 1996, respectively, and a Ph.D. degree in Language Technologies from Carnegie Mellon University in 2005. He was a research staff member at IBM China Research Laboratory from 1996 to 1998. Zhu received the National Science Foundation CAREER Award in 2010. His research interest is in machine learning, with applications in natural language processing, cognitive science, and social media. Roy Zimmermann is the director of Education and Scholarly Communication in Microsoft Research Connections. In this role, he leads a team that collaborates with higher education institutions around the world to develop next-generation technologies for education. Zimmermann’s primary goal is to work with academics, researchers, and scientists to foster innovations and advancements in teaching and research that help improve education around the world. Before he joined Microsoft, Zimmermann worked at the American Council on Education’s Office of Higher Education for Development (HED). He oversaw all programmatic activities across all development sectors, including education, health, agriculture, and economic growth. His role was to ensure continuous quality of overall program implementation as well as new program development and strategic planning. He managed HED’s relations with federal, corporate, and other national and international stakeholders. Zimmermann has 20 years of experience in research, education, and international development. Zimmermann holds a Ph.D. in education from the University of California, Los Angeles, and a bachelor’s degree in education and history from Emory University with a minor in Latin American studies. C. Lawrence Zitnick is a senior researcher in the Interactive Visual Media group at Microsoft Research, Redmond. He is interested in a broad range of topics related to visual object recognition. His current interests include object detection, semantically interpreting visual scenes, and the use of human debugging to identify promising areas for future research in object recognition and detection. He developed the PhotoDNA technology used by Microsoft, Facebook, and various law enforcement agencies to combat illegal imagery on the web. Previous research topics include computational photography, stereo vision, and image-based rendering. Before joining Microsoft Research, he received the Ph.D. degree in robotics from Carnegie Mellon University in 2003. In 1996, he co-founded a company that developed one of the first commercial portable depth cameras. Sign language, the primary means of communication for the hearing impaired, is only understandable to those who have learned the language—a situation that can lead to debilitating social isolation. 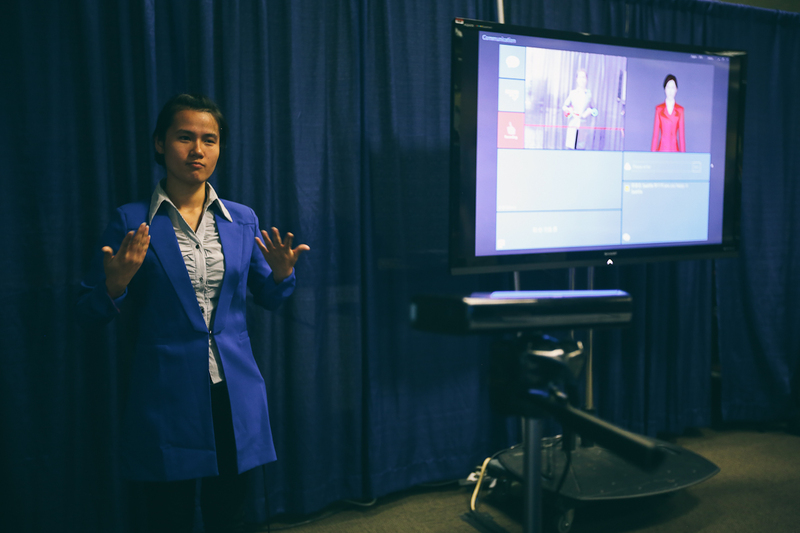 This demo will show our primary efforts on sign language recognition and translation with Kinect. As Kinect offers an opportunity to capture action in RGB images and depth simultaneously, we apply Kinect to capture the signer’s actions and recognize sign language from both the trajectory and hand shape. The capture and animation of the human face and body in 3-D offer great opportunities for many applications in telepresence, online shopping, and video games. In this demo, we will show that a user’s face and body can be easily captured and animated in 3-D with simple setup (machine + webcam + Kinect sensor). The face and human body will be demonstrated separately. The face demo will show 3-D face tracking by using the RGB camera, face-based emotion recognition, and a text/emotion-driven avatar. The human body demo will automatically constructs a 3-D model of the user’s body, starting with the user standing in a relaxed pose in front of a Kinect sensor for a few seconds. Subsequently, the system allows the users to drive the 3-D body model by their own movements (avateering), as well as to generate animations with predefined movements. Kinect for Windows gives computers eyes, ears, and the capacity to use them. With Kinect for Windows, thousands of businesses and academics are creating applications that put people first—allowing their customers to interact naturally with computers by simply gesturing and speaking. The latest update to the Kinect for Windows SDK adds new Kinect Interactions that comprehend natural gestures such as “grip” and “push,” and includes Kinect Fusion, a tool that creates 3-D reconstructions of people and objects in real time. In addition, resources such as the Human Interface Guidelines, and new samples—such as OpenCV and MATLAB—help developers build advanced Kinect for Windows applications by using common standard libraries. Microsoft .NET Gadgeteer is an open-source toolkit for prototyping electronic devices. Simply connect hardware modules together and program the device in C# or Visual Basic to bring your ideas in to reality. Once you are satisfied with the functionality, design an enclosure to create a custom device that is aesthetically pleasing and fully functional. 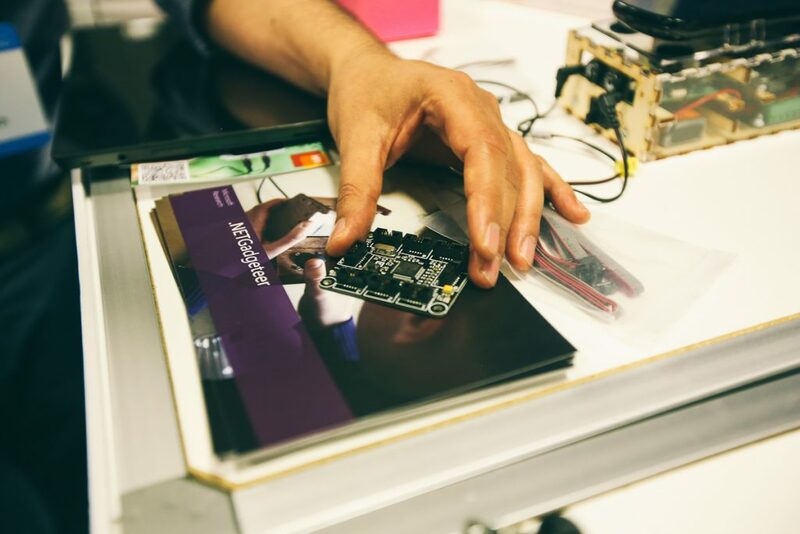 With nearly 100 hardware modules, 10 mainboards, and a collection of hardware manufacturers as well as community contributors, prototyping a device is simple, and for those specific projects .NET Gadgeteer is built with extensibility at its heart. Come and see how leading universities use .NET Gadgeteer for computer science, environmental science, and design. Microsoft continues to innovate in the natural user interface (NUI) space, constantly providing new modalities for interacting with computing systems. We propose applying our expertise in NUI to create new, more natural ways of accessing information that help people effectively explore and present their data. The freeform nature of sketch interaction lends itself to fast, natural interaction without the use of widgets or menus. We are exploring the possibility of combining sketch-based interaction and computer-supported visualizations by bringing data to interactive whiteboards, enabling more fluid data exploration and presentation and extending the traditional advantages of the whiteboard. In this demo, we present a system called SketchInsight, which recognizes hand-drawn input to enable data exploration on interactive whiteboards. SketchInsight also makes it possible to tell stories with data through freeform sketching. ChronoZoom is an open-source community project that is dedicated to authoring and visualizing the history of everything. Big History is the attempt to understand, in a unified, interdisciplinary way, the history of cosmos, Earth, life, and humanity. By using Big History as the story line, ChronoZoom seeks to bridge the gap between the humanities and sciences an enable all this information to be easily understandable and navigable. See how ChronoZoom enables users to browse through history and find data in the form of articles, images, video, sound, and other media. The natural user interface meets big data meets visualization: SandDance is a web-based visualization system that uses 3-D hardware acceleration to explore the relationships between hundreds of thousands of items. Arbitrary data tables can be loaded, and results can be filtered by using facets and displayed by using a variety of layouts. Natural-user-interaction techniques including multi-touch and gesture interactions are supported. In this demo, we will demonstrate HomeOS platform connected to a number of devices simulating the home environment. These devices will be collecting data and uploading it to the cloud. We will demonstrate the Lab of Things monitoring portal and walk the attendees through some of the key scenarios in the home. While many connected devices exist, people struggle with setup, configuration, or even knowing what useful applications they could use in their homes. We will demonstrate Lab of Things, a connected device platform that helps users determine which applications will work with devices they already own and which applications (such as security, energy monitoring, or eldercare) they could enable by adding a few devices (for example, cameras, water sensors, and door locks). We will also display technology, including a monitoring portal that we have built to facilitate research deployments in homes to ease the burden for field deployments on researchers. 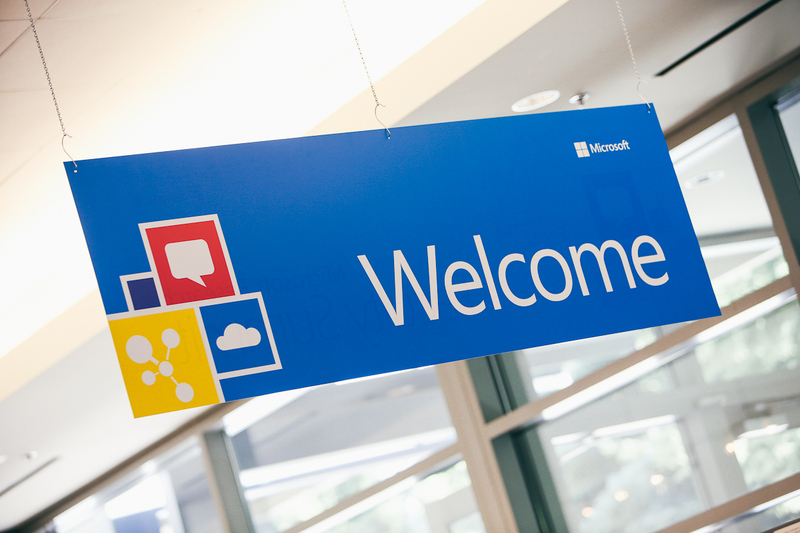 Microsoft Research Connections seeks to improve the discovery and exploration of the vast body of research content, and to accelerate scientific discoveries and breakthroughs by fostering the dissemination of ideas throughout the research community. This demo fest should provide a window into our recent projects and ideas, but we also want to hear from you! Stop by and let us know how you discover research content and engage in the scholarly dialogue. What tools do you use? What is working great? What is lacking? We want to know! We have ported the Dryad and DryadLINQ data parallel computing frameworks to YARN, which is the next generation Hadoop architecture. This enables developers who use Microsoft .NET to scale out data analytics computations to clusters of commodity computers while using the infrastructure provided by the Apache Hadoop project. DryadLINQ users are able to declaratively express their computation, which operates on data stored in the Hadoop distributed file system (HDFS), using familiar LINQ operators that can easily invoke preexisting managed or native code libraries. Dryad and DryadLINQ for Hadoop YARN will be available for download. The web is filled with rich information and applications that aspire to use this information. Classifiers and extractors help identify meaningful text in unstructured documents and enrich it with metadata that can be consumed by applications. Building classifiers and entity extractors is not new. Bing, Google, and Yahoo have built hundreds in an attempt to understand queries, web pages, and ads. Unfortunately, the efficacy of the current approaches is limited by the number of machine learning experts, the number of programmers, and the complexity of the tasks. The ICE platform enables interactive machine learning with large-scale data for non-experts. ICE makes it easy for non-engineers to create classifiers and extractors using large data sets (for example, 100 million webpages, 1 billion queries, 10 million images) in a matter of hours. The ICE system integrates and reinforces the principles of iterative and interactive machine learning with active labeling, active featuring, and automatic regularization. ICE offers a user interface that enables the user to view web pages and start to label them. As they label, the system creates a classifier and offers new examples for the user to verify. ICE also allows the user to create and customize concepts (for example, a list of food ingredients or a date extractor) to make the classifier robust and to build on each other’s work by using existing classifiers and extractors as features to new ones. The ability to produce thousands of high-quality classifiers and extractors can be valuable for applications like web and social search, advertising, email, and mobile. While the current focus of ICE is on web data, the framework is general to support a variety of data types including text and images (for example, pictures, digits, queries, and web pages). SWAN is a control system for inter-data center networks that uses the software defined network (SDN) paradigm to increases the network utilization from 40 percent (today’s level) to more than 95 percent. At the same time, it improves the fault tolerance and scale-out properties of the network by replacing big iron routers with arrays of commodity switches. These benefits translate to reduction in amortized annual cost of the network by tens of millions of dollars and multi-week reductions in the time to transfer large amounts of data across the WAN (wide area network). Try F# enables anyone, in a few minutes with no registration and no download, to work with topics as varied as statistics, machine learning, and charting and to apply them to data-rich problems. Try F# addresses the dual challenges of the continually growing web of linked data and open data resources being made available more broadly by government agencies, such as the World Bank, and communities, such as Freebase. Try F#, built on the Windows Azure platform and the information-rich paradigm of F# 3.0 type providers, enables anyone—from the data scientist to the analyst to the developer—to explore, split, dice, and query information-rich data sets and to gain easy visualization of the results to understand the value of the data. Moreover, anyone can write code in the browser and then share it with the rest of the community. Though the phrase “going viral” has permeated popular culture, the concept of virality itself is surprisingly elusive, with past work failing to define rigorously or even definitively show the existence of viral content. By examining nearly a billion information cascades on Twitter—involving the diffusion of news, videos, and photos—this project has developed a quantitative notion of virality for social media and, in turn, identified thousands of viral events. ViralSearch lets users interactively explore the diffusion structure of popular content. After selecting a story, users can view a time-lapse video of how the story spread from one user to the next, identify which users were particularly influential in the process, and examine the chain of tweets along any path in the diffusion cascade. The science and technology behind ViralSearch can help identify topical experts, detect trending topics, and provide virality metrics for a variety of content. GeoFlow uses the architecture and ideas behind the WorldWide Telescope to deliver interactive spatial temporal data visualization and virtual cinematography in the 3-D data environment for business intelligence with small- to medium-sized data tables in Microsoft Excel 2013. TouchDevelop is a modern development environment tuned for touchscreens. It runs on virtually all devices, including PC, Windows Phone, Mac, iPhone, iPad, and Android. TouchDevelop can be used in the classroom to teach programming concepts, and TouchDevelop is ideal for classes on mobile computing, as it cuts the time required to write apps. A free e-book helps you get started. TouchDevelop features a live programming experience that makes it easy to design and implement modern user interfaces. A natural language processor turns spoken or typed free-text queries into type-correct code fragments. TouchDevelop can generate true apps that you can submit for certification in both the Windows Phone Store and the Windows 8 Store. Write code now with TouchDevelop. We live in a world that is increasingly alive with sensors and data. The big data, sensor network, and transparency movements have left us with a glut of potentially useful free data that is lying fallow. How can we use this to improve life, local community, and the world at large? 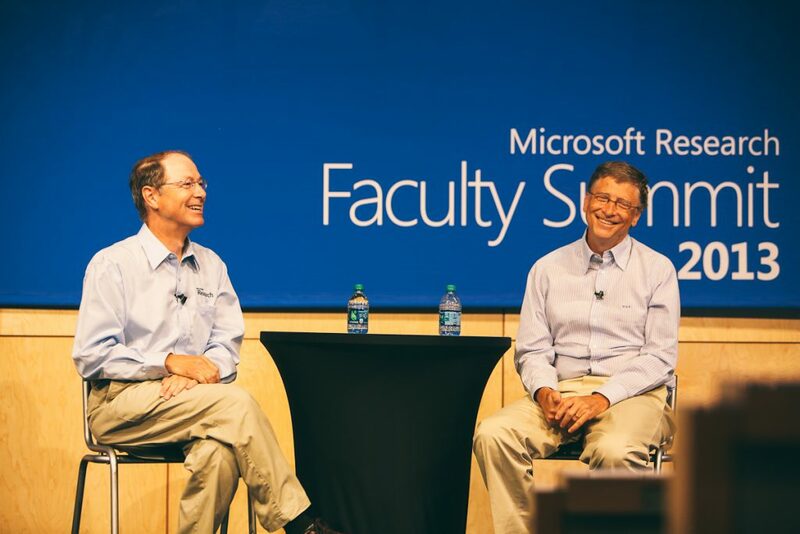 Microsoft corporate vice president, Rick Rashid, moderates Q&A session with Bill Gates, Microsoft chairman July 15 during the opening keynote of the Microsoft Research Faculty Summit 2013. 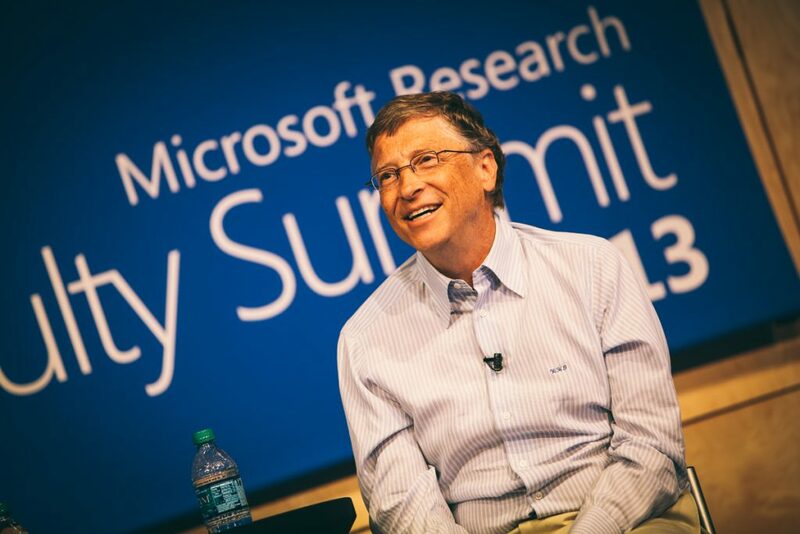 Bill Gates, Microsoft chairman, delivers the opening keynote July 15 during the Microsoft Research Faculty Summit 2013. 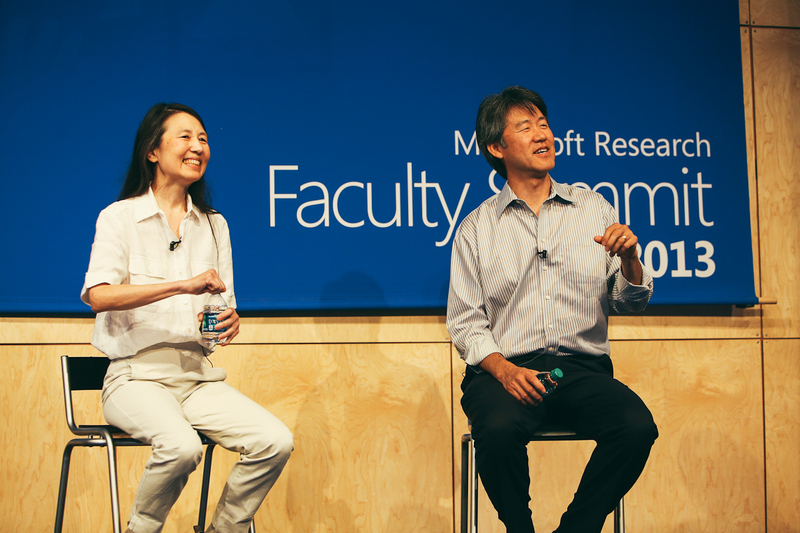 Keynote speakers Peter Lee, corporate vice president and head of Microsoft Research, and Jeannette Wing, Microsoft corporate vice president of Microsoft Research, speak about how basic research helps everyone on July 16 during the Microsoft Research Faculty Summit. Doug Burger, director of client and cloud apps for Microsoft Research’s Extreme Computing Group, speaks about how changes in the hardware ecosystem will disrupt computer science during Monday’s closing keynote of the Microsoft Research Faculty Summit. 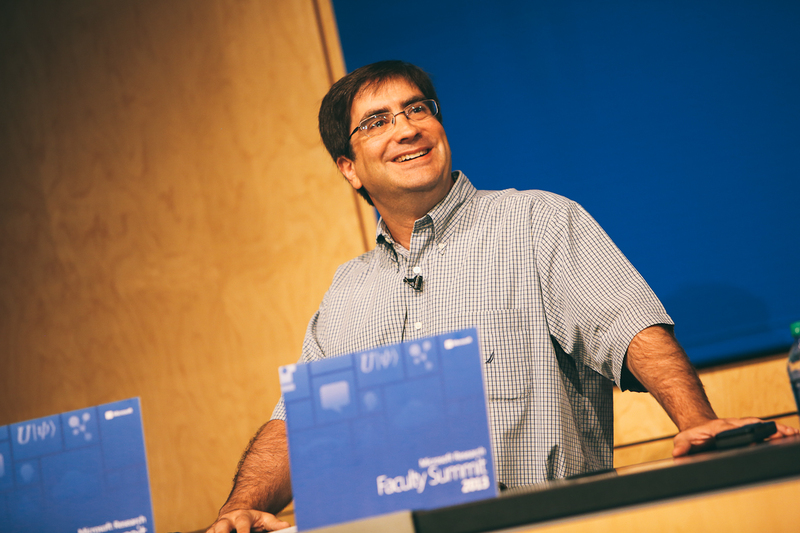 Eric Rudder, executive vice president of Microsoft’s Advanced Strategy and Research group, is shown speaking before introducing Bill Gates, Microsoft chairman, who delivered the opening keynote of Microsoft Research Faculty Summit 2013 on July 15.